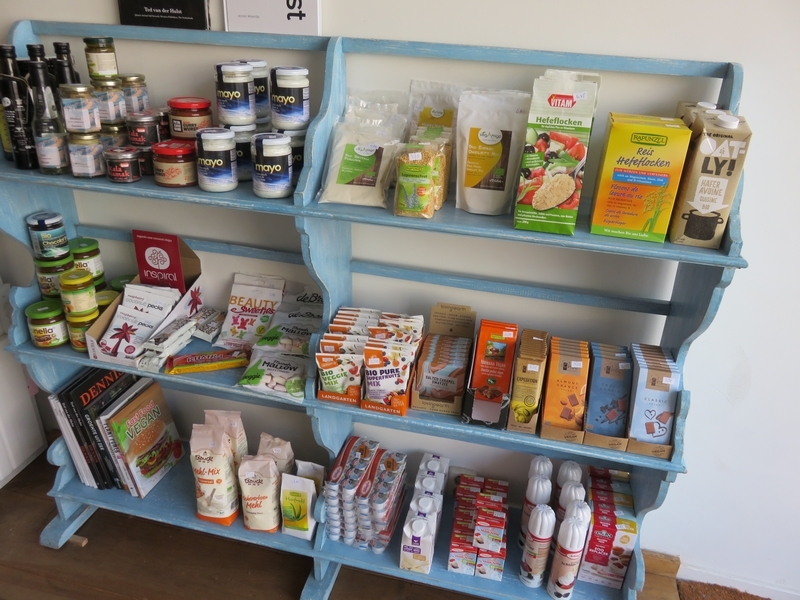 restaurant review #130 – shop review#37 Heavenly Cupcakes is a vegan patisserie and lunch bistro (sandwiches and Dutch weedburger) in the city center of Rotterdam. 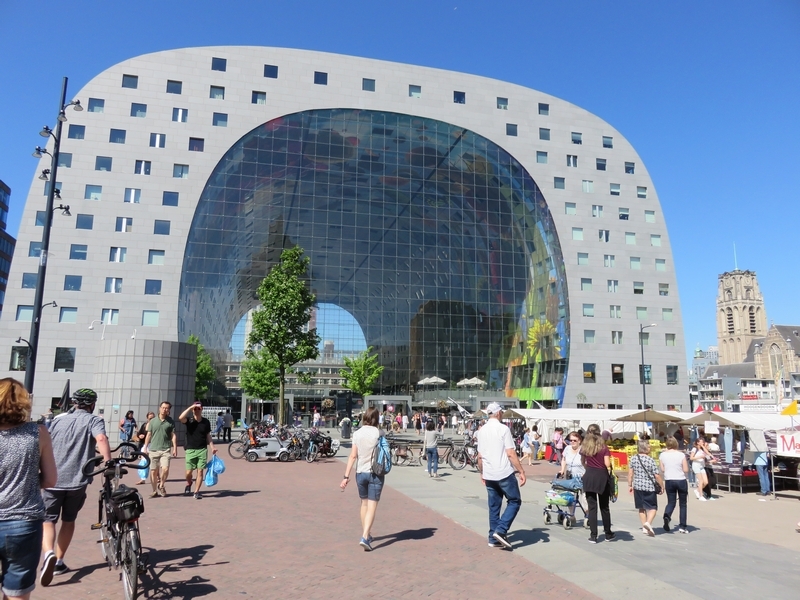 It is located just outside the city center of Rotterdam, on the West side of town. 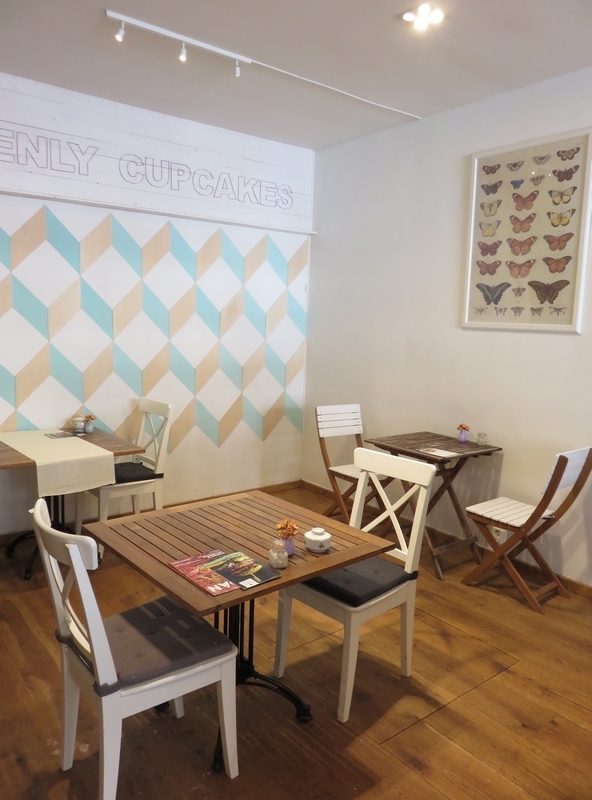 There is a small terrace in front of Heavenly Cupcakes, and at the back of the bistro there is a seating area with some tables for two. 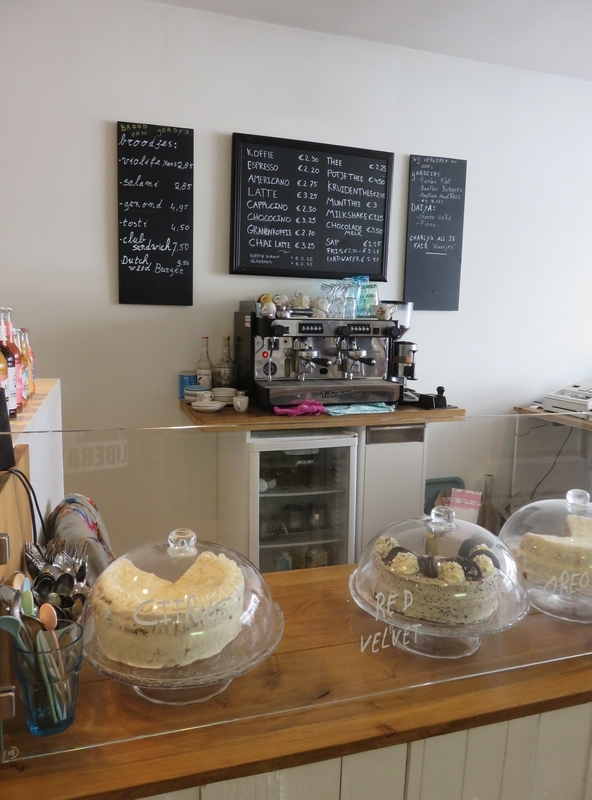 It is bright and spacious, and nicely decorated, with a sort of a ‘modern but vintage’ feel. 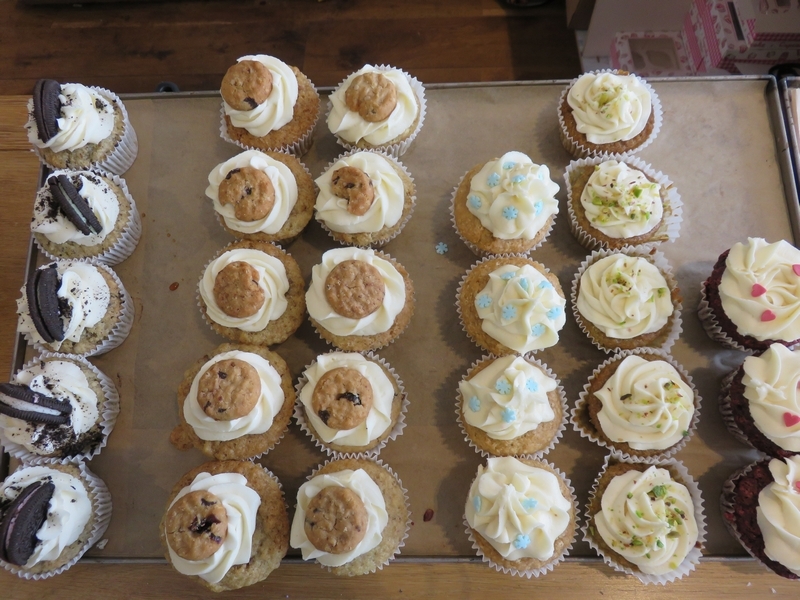 We had already eaten nice cupcakes from Heavenly Cupcakes during our visit to VegfestNL in Utrecht in 2015 and they were also at the latest Vegan Summerfest in Belgium (blog will follow). Must say that at that latter opportunity, I was not inclined to line up to buy a cupcake from them again, as the middle aged lady at their stall was again a bit grumpy and not welcoming (let me take this opportunity to say it wouldn’t hurt to smile once in while 😉 ). During our visit to the shop in Rotterdam, the young lady at the counter in the bistro in Rotterdam was friendly though, albeit a bit reserved. We went here for dessert after our lunch at Gare du Nord (vegan restaurant in an old train carriage on the other side of town). 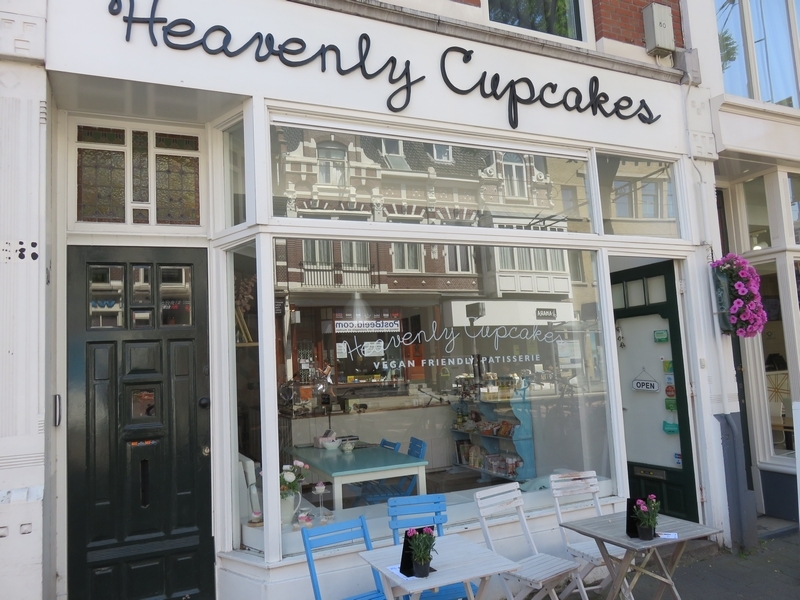 As it was a blooming hot day, and we saw online that Heavenly Cupcakes sells icecream, we were eagerly looking forward to a refreshing and fresh icecream! 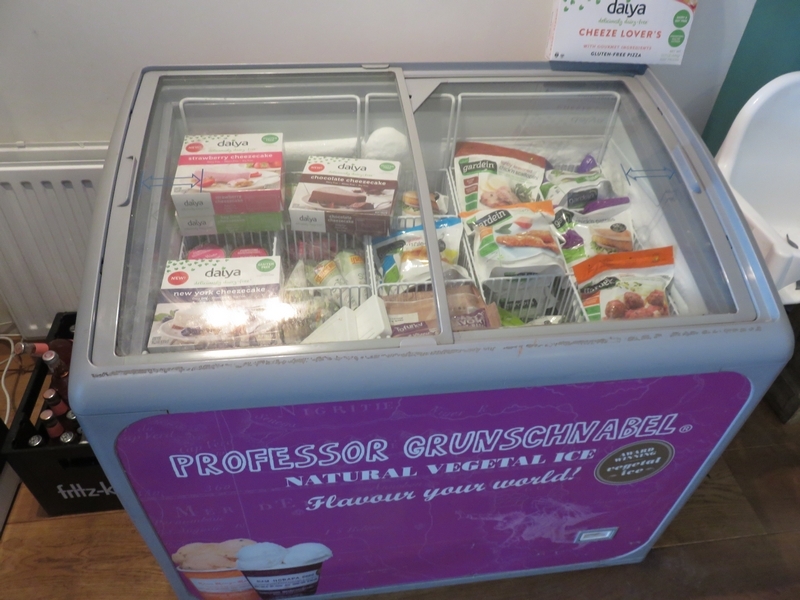 Heavenly Cupcakes does have a selection of icecream in the freezer (containers from Professor Grunschnabel and IJsboerke cornets), but that was not what we were hoping for (we were thinking of fresh scoops of icecream or maybe even some vegan soft icecream, that’s been ages!!). So that was a bit of a bummer. 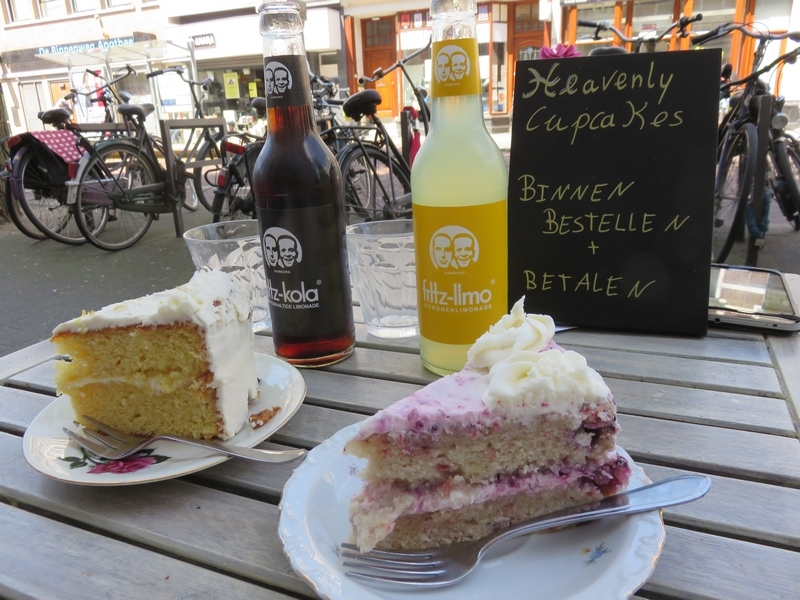 As such, we went for some fresh lemonades and a piece of cherry cake and a piece of lemon cake (totalling 13,90€). 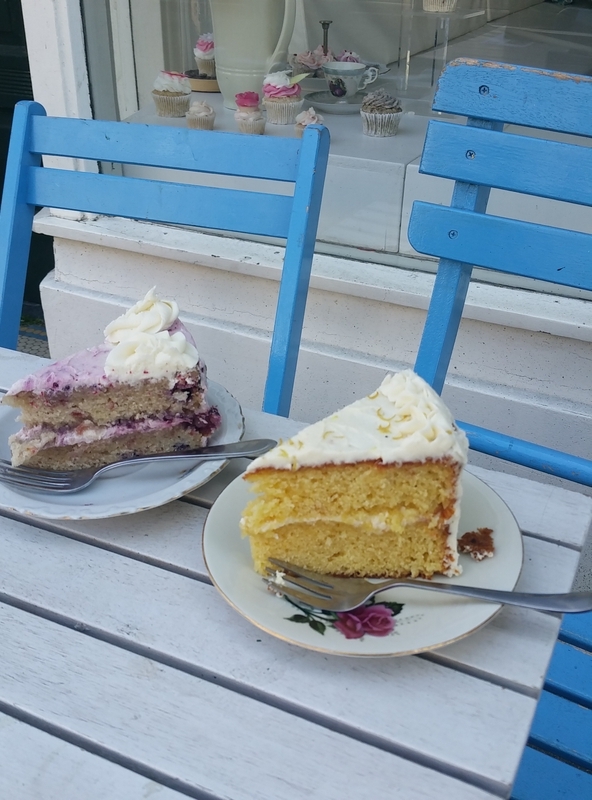 We sat outside on the terrace with our cakes and drinks, fortunately (this day at least, as it was very hot) in the shade! There was however a nasty sewage smell outside though (a drainage pipe? because of the heat? ), which made it a bit unpleasant to sit there. 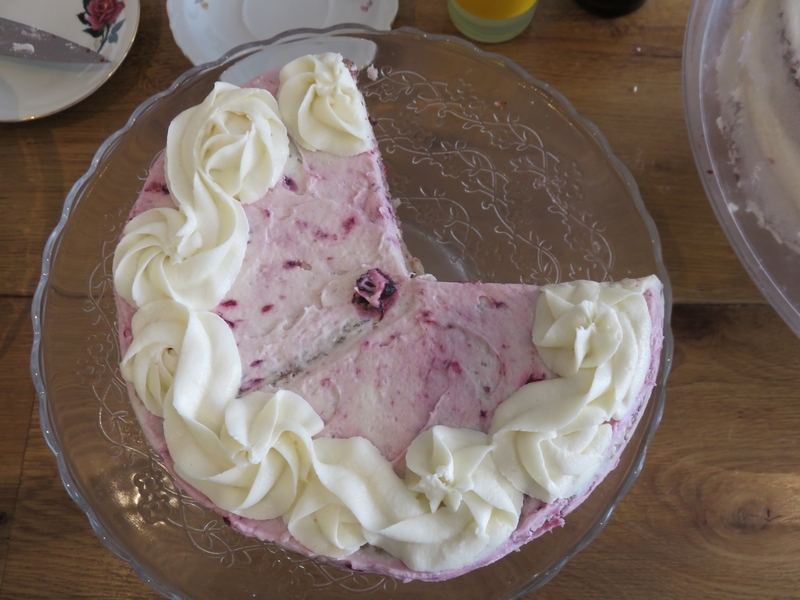 The cakes itself were good, although the topping was way too heavy and a sugar bomb. We thought it was soy whip, but it was mainly powdered sugar. Big portions too, and since we both had lunch, we could not finish it. 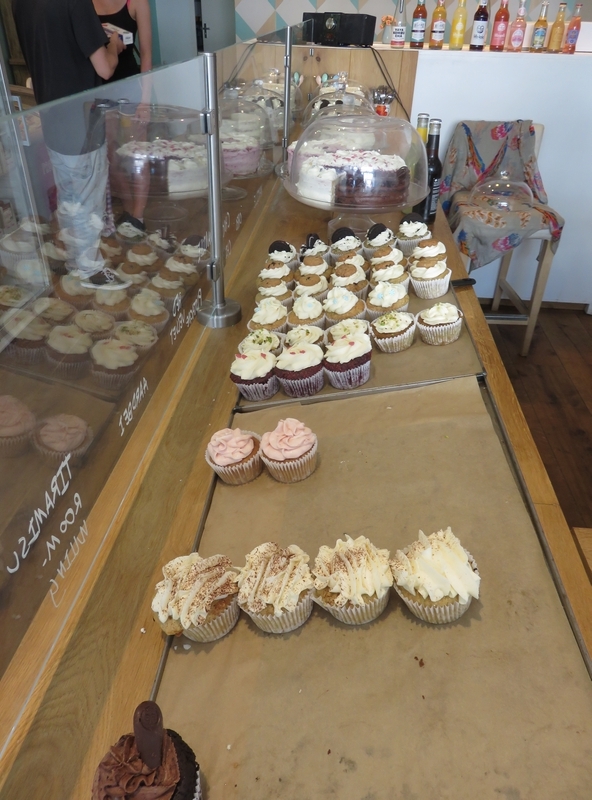 We only tried some cake at this visit to Heavenly Cupcakes, so can’t really tell anything about the lunch options. 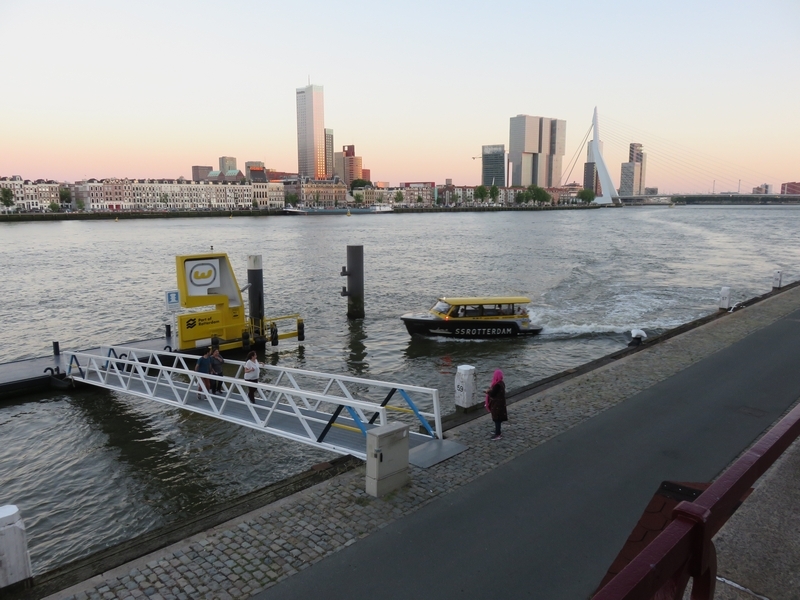 But it seems like a nice place to have a quick sandwich, or the Dutch weedburger! Thank you for your review. We know the smell is horrible, we are arguing with the local government for ages now about it. It is really terrble, we are very sorry about that. 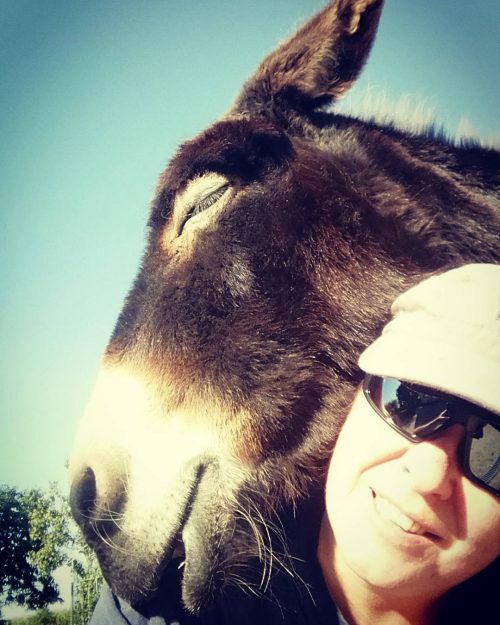 I understand that you think I am a bit grumpy when on a market, but it is hard work to help ajnd serve all the people when you are alone and I guess you just caught me on a tired moment, because I have really have lots of laughs during those days. I could devour those cupcakes, they look so good.